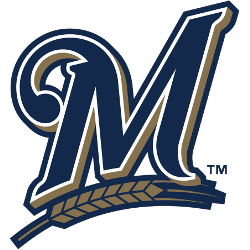 Come along with your family, friends and fellow Morning Star members to watch the Milwaukee Brewers take on the Cincinnati Reds on Friday, June 21 at Miller Park. We will have a tailgate party here at church starting at 5 p.m. before boarding the bus that will take us to the game. The cost for a ticket, bus ride and tailgate is $30 a person. Our seating will be in the loge infield seats along the third base line. To be a part of this fun event, please fill out a Brewers Game registration form, copies of the form can be picked up outside the church office and return it with a check (made payable to Morning Star Lutheran) or cash for the number in your group to the church office. There are 48 tickets so get your registration in early so you don’t miss out on the fun. If we get more than 48 who want to go, their names will be put on a waiting list in case someone has to cancel and can’t use their ticket. If you have questions about this event, contact Phil Potratz at philip.potratz@gmail.com.